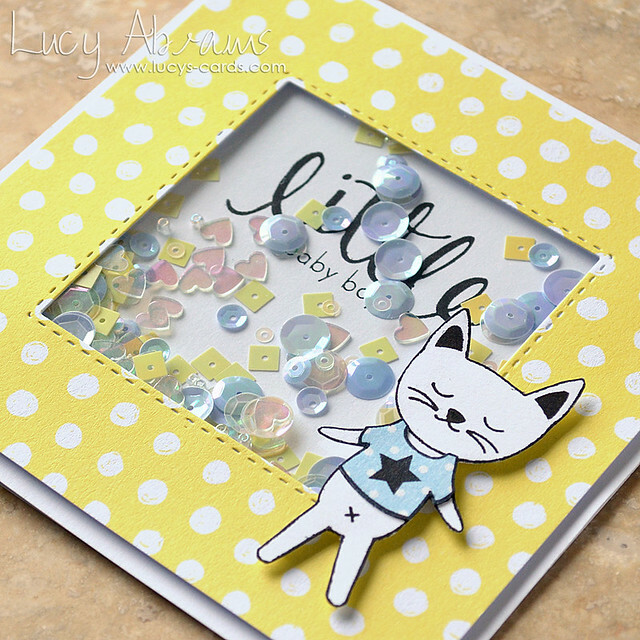 Lucy's Cards: Little Baby Boy - and giveaway news! Awesome shakercard Lucy I am just in the baby cards mood so I might lift your idea. Of to Kathy to see her cards. TFS. Adorable baby card...love your sequins packs. Great combos and awesome names! That's adorable! I would love to have some of your Sparkly Shaker Selections, I am off to Kathy's blog to see what wonderful things she has created today. Adorable card - love it! Dear me...so adorable. Good idea to use the sequins without the pink ones. Such a sweet baby card & those Sweet Pea Sequins are amazing! Lucy, you have been my inspiration to make shaker cards. I would love to win the packages of sequins.....can never have to many! !